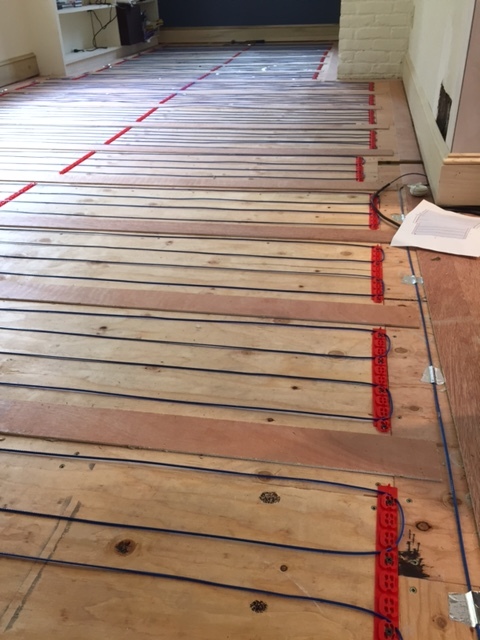 Since wood functions as a natural insulator, you can install your Warmup floor heating system directly on a plywood sub-floor. We reccomend using Warmup Insulation Boards on a plywood sub-floor to improve performance and maximise the energy-efficiency of the system. Ensure that the sub-floor is smooth, dry and free from dust or objects.